Make new friends where wine meets west in Santa Barbara Wine Country. 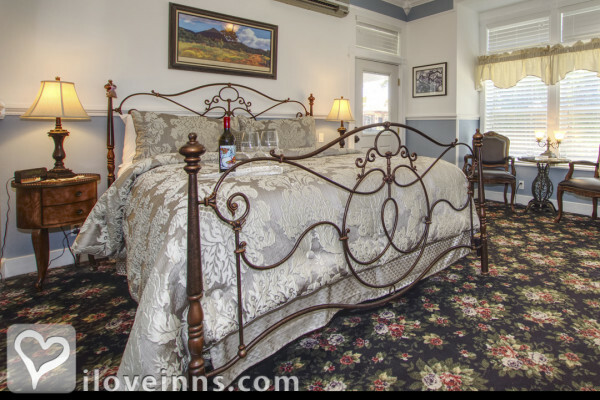 ForFriends Inn is where you enjoy wine and good food with happy, fun people every day. 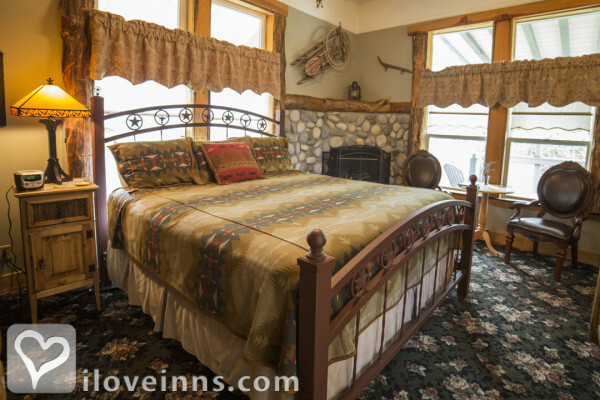 This inn has been described as being similar in features and warmth to the friendly B&Bs commonly found in the Midwest and New England. There are a total of eight luxurious guest rooms with six located in the main house and two in private buildings adjacent an inviting wine garden. Enjoy outdoor romance with a private balcony or patio. 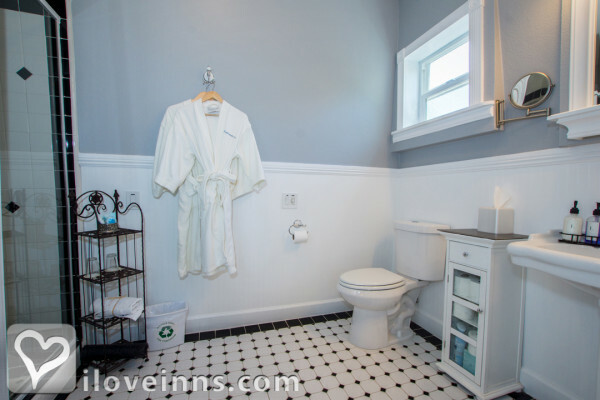 Each room has an immaculate, master bath with a jacuzzi tub or a walk-in shower for two. 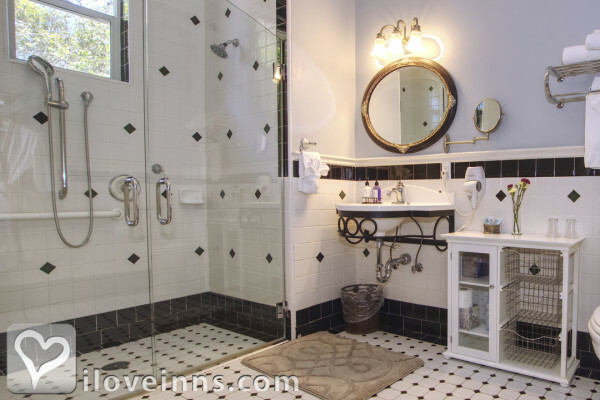 Spend a unique getaway in the two-floor water tower suite or snuggle in complete privacy in the cozy cottage. Each day begins with a delectable, homemade 3-course breakfast followed by an afternoon wine and hors-d'oeuvres hour. Don't forget to enjoy homemade cookies and sweet wines on your way to bed. Located in town, it's an easy walk or short drive to over 100 tasting rooms. Enjoy a memorable meal at the Brothers Red Barn or SY Kitchen, both a short walk from the inn - or at several other renown restaurants. 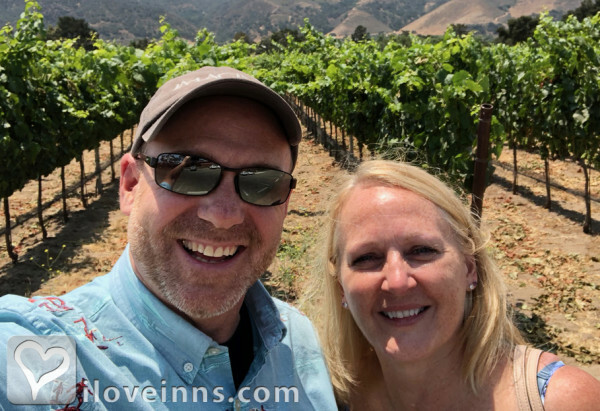 As an added bonus, each guest also receives the Friendship Pass offering over $300 in complementary and 2-for-1 tastings at 45+ local wineries and complimentary appetizers or desserts at several nearby restaurants. 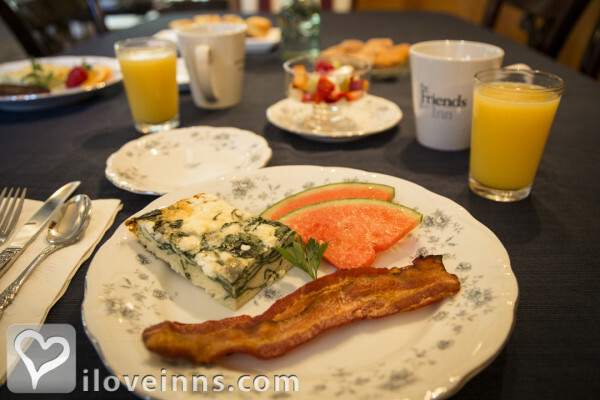 At ForFriends Inn, you Arrive as Guests and Leave as Friends. Payment Types Accepted Include Visa, Master Card, American Express, Discover and No checks. 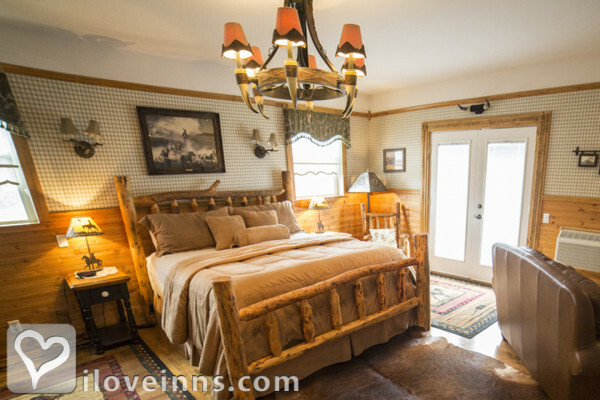 This property has 8 total guest accommodations with private bath, 3 with hot tubs, 3 with whirlpools, 5 total suites, including 1 two-bedroom suite, 2 cottages and 2 cabins. The types of beds available include King. 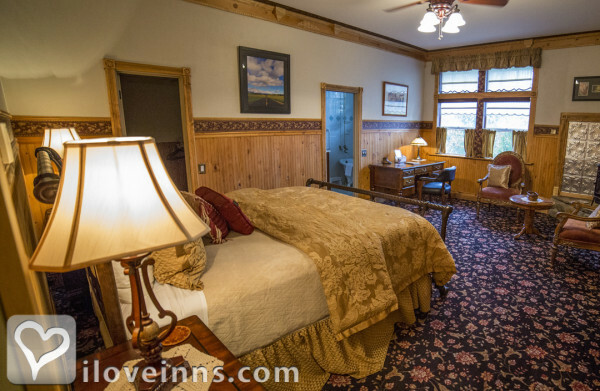 Beautiful rooms with fireplaces, Jacuzzis and balconies with views of the mountains. Cozy grounds with floral garden and gazebo. 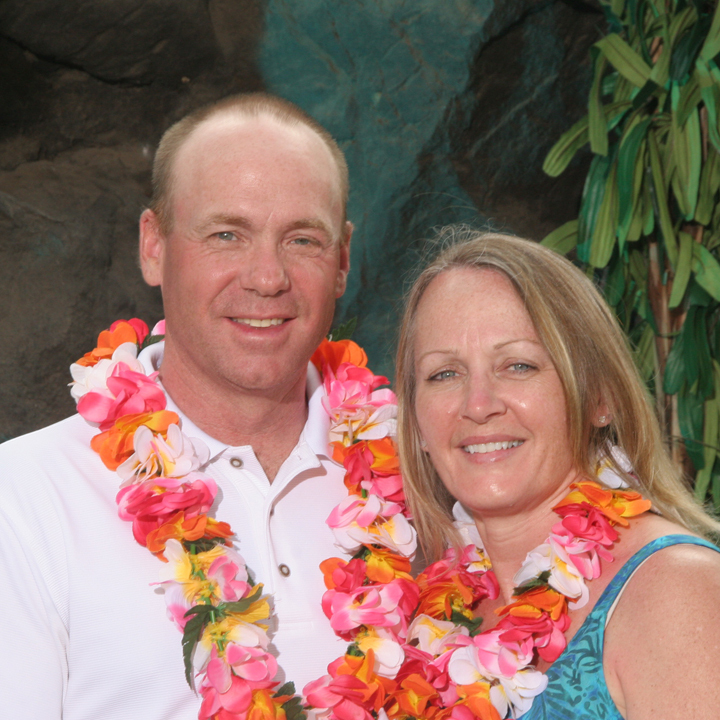 Members of the California Hotel and Lodging Association (CHLA) California Association of Boutique and Breakfast Inns (CABBI)California Lodging Industry Assoc. 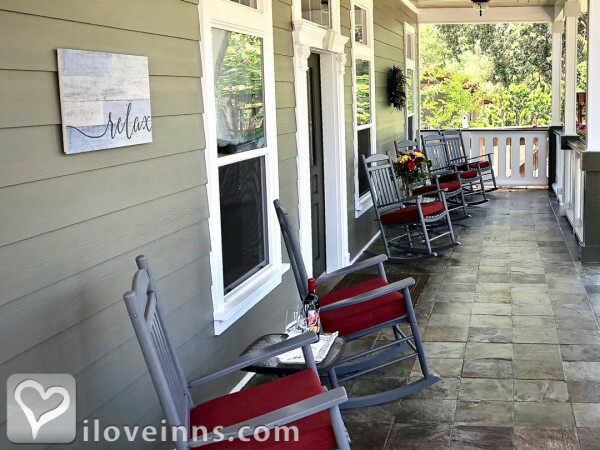 Wraparound front porch lined with rocking chairs. 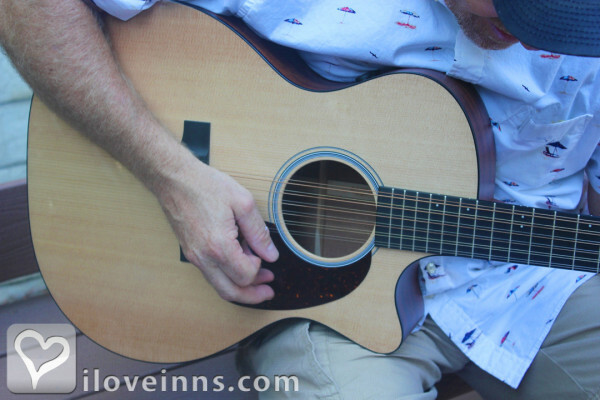 Wine Garden where live music is performed every day during happy hour. Cozy grounds with floral garden and gazebo. We do require multi-night stays during certain times of the year. 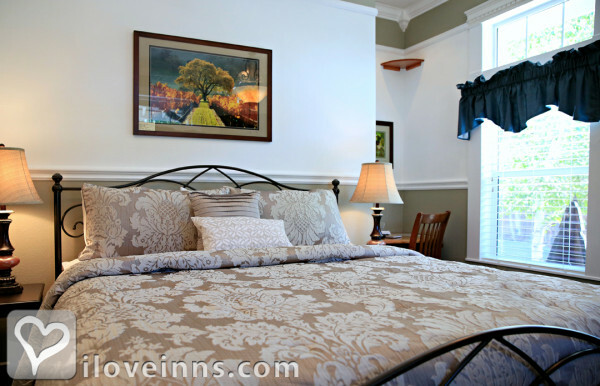 Weekends, Holidays and special events generally have multiple night stay requirements. Nonetheless, please call or check our availability online, since one-night stays are occasionally available. Per the CA state code: "When minors are traveling with adults, we require each adult to agree, in writing prior to the stay, not to leave any minor 12 years of age or younger unattended at any time during their stay, and to control the minors' behavior during their stay so as to preserve the peace and quiet of our other guests and to prevent any injury to any person and damage to any property (Civil Code Section 1865(d)). Refusal to sign such an agreement is grounds for refusing accommodations, and any failure to otherwise comply with this policy can result in eviction, with no refund of any money paid or owning in connection with the stay/reservation. Additionally, persons under 21 years of age are restricted from all common areas where alcohol is being served/consumed." 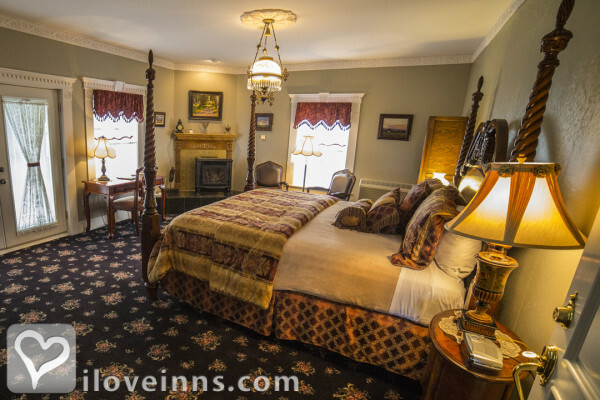 Cancelations: As a small inn dealing almost exclusively with advance reservations, date changes and cancelations affect us significantly - especially those made during special events and holidays. If you find it necessary to cancel, please call by 3:00 p.m. fourteen (14) days before your scheduled arrival date and your credit card will be refunded your deposit less a $35 service charge and credit card transaction fees. If canceling after 3:00 p.m. within fourteen (14) days of your stay, the remainder of your balance is collected and the room nights will be opened for rebooking. A shortening or postponement of your stay is also deemed as a cancelation. Note: Single room reservations of six nights or longer should refer to the Groups/Extended Stays policy. Groups/Extended Stays/Vacation Rentals: Reservations requiring six or more room nights - whether booked as a whole group or individually - have a 30-day cancelation policy and require a fifty percent (50%) deposit upon booking. The remainder of the balance will be collected 30 days prior to check-in. If canceling before 3:00 p.m 30 days prior to the check-in date, 25% of the deposit will be retained. If canceling after the balance has been collected, the room nights will be opened for rebooking. If the entire inn is rebooked for the same amount of time as your stay, you will be refunded monies received for any new reservation(s), less a $200 service fee. A shortening of your stay is also deemed as a cancelation. 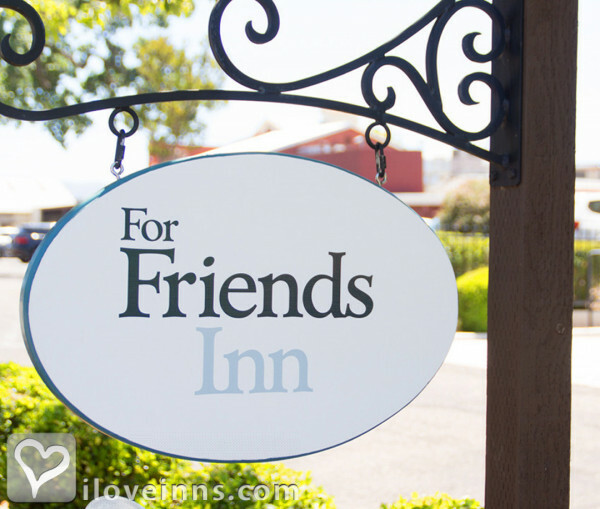 ForFriends Inn is perfectly situated in Santa Ynez, a village founded in 1882 and considered to be the 'Gateway to the Santa Ynez Valley and Santa Barbara Wine Country'. 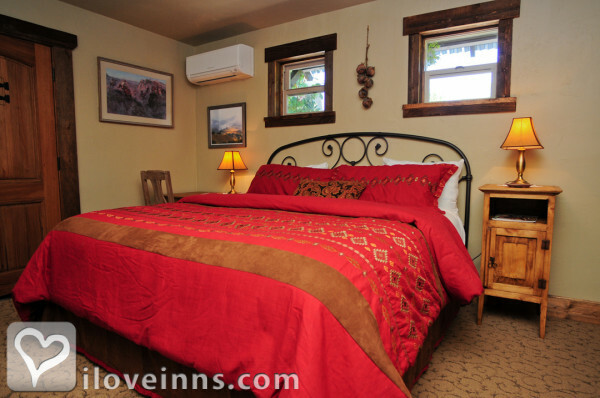 Guests will immediately notice and enjoy the period facades, sprawling ranches, and rural aspect of our historic valley. Trip Advisor Certificate of Excellence winner 2013, 2014, 2015, 2016, 2017, & 2018. Trip Advisor Hall of Fame member 2018. Every guest receives our Friendship Pass. It's our way of saying 'Thanks for Staying'. You're invited to visit us in Santa Barbara Wine Country to enjoy our incredible wine, food, shopping and more. We've developed partnerships with some of the best wineries, restaurants and retail establishments to offer you unprecedented savings. 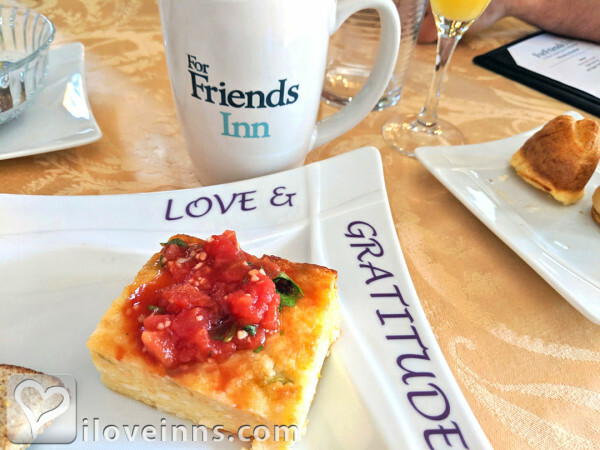 Upon check-in at ForFriends Inn, you'll receive our Friendship Pass, entitling you to complimentary and 2-for-1 tastings at over 45 Santa Barbara county wineries. 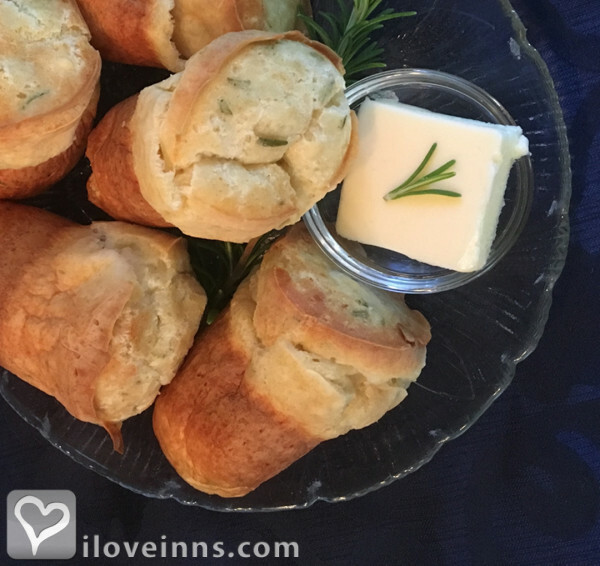 Additionally, our Friendship Pass also includes complimentary appetizers and desserts at several local restaurants along with discounts on many local attractions including wine tours, hot air balloon rides, and vineyard horseback riding. 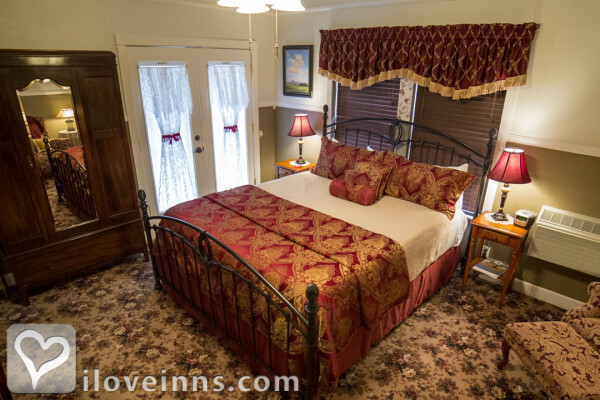 We look forward to taking care of you here at ForFriends Inn. Valid from 10/01/2018 through 09/30/2019. Being a Vietnam veteran on a fixed income it is so special when someone such as Jim & Debbie the owners of ForFriends Inn donates their rooms to veterans for Veterans Day. When we arrived we thought we were stepping back in time because the house and "out buildings" looked to be 50-100 years old. We were pleasantly surprised to find it was only about 7 or 8 years old so the windows didn't leak air, the floors were level, everything worked like a charm. Debbie was the gracious hostess showing us everything we needed to know to get comfortable. Jim entertained us during the afternoon wine/cheese time and made arrangements for local restaurants to be generous to veterans too. Not your typical B&B and certainly not your typical hosts. We WILL return again some day. Thank you for your generous use of your place. The first day of Spring...an unexpected gift to find the Edison Street Inn. Warmth and friendly welcome greeted us...comfort and repose surrounded us in Paladin's Suite. Memories of other times when cowboys were the heroes. Now, we play the role of escapees from LA, going back in time and beginning to find the peace and rest so often lacking. 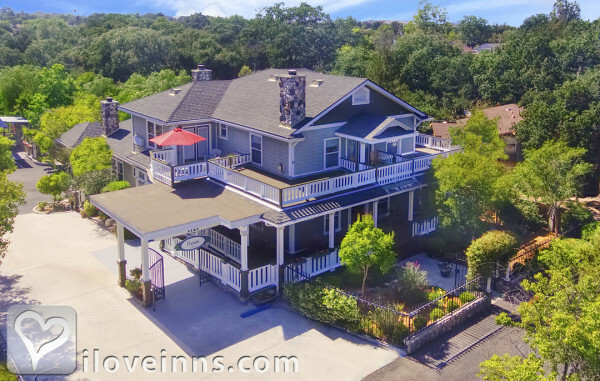 Voted 'Favorite Place to Stay' in 'Wine Flights; A Wine Enthusiast's Guide to Wineries, inns, and Restaurants by Small Airports' book by Jerry & Nina Jackson, published 2018, Exteriors and interior of main house used as stand-in for Napa restaurant in first two seasons of Mom on CBS.